St. Giles School requires each student-athlete maintain no lower than a C- grade in each academic class each week to be eligible to participate in interscholastic athletics. Spanish class will be included for 6th, 7th and 8th grade students. At the beginning of each season, team rosters will be made available to the School Administration. Beginning after the third full week of each trimester, student-athletes’ grades will be reviewed on Tuesdays by teachers. Student-athletes with a grade below a C- will be placed on academic probation for one week. After the one week probation period has ended teachers will review grades and determine if the student-athlete’s grade has met eligibility requirements. If the requirements have not been met, the student-athlete will be declared ineligible for all athletic activities until the grades are reviewed the following Tuesday, at which time the eligibility will again be determined for the following week. Student-athletes with IEPs will be given special consideration. School Administration will provide the Athletic Director (AD) a list of student-athletes on academic probation and a list of student-athletes declared academically ineligible every Tuesday, which will be followed by notification, via email, to the student's family and coaches. All coaches are expected to follow all eligibility decisions. Ineligibility will begin with games/practices on Wednesday and will continue through the following Tuesday. A student declared academically ineligible may not attend events (Pack the Park, Jam the Gym), practices, games, or meetings of his/her team during the ineligible period. If a student is declared ineligible before a vacation period, the student will remain ineligible until the first Tuesday after school is back in session. A student declared ineligible for 4 weeks in a trimester will be immediately withdrawn from participating in his/her athletic activity for the remainder of the season or the trimester, whichever is shorter. Here are some quick tips for navigating our website. To find your team page, roll over the "teams" link in the top horizontal menu, go to "Choose a team" and navigate to your child's team page. This will take you to your team's home page. Coaches will post information here such as squad assignments and tournament information. On the left side of this page is your team roster. Here you can find classmates that are on the team. If you are logged into the website, you will be able to see contact information which is helpful if you need to find a ride for your child. Also on the left side of your team page, you will see your team schedule. Here, you will see all the dates and locations of the practices and games. You can download the schedule into your home calendar which will automatically update when a change is made. Click on "options" and then go to "Calendar Feed" and select the download that will work for your device. Please make sure you RSVP for ALL GAMES as early as possible. Our coaches spend a great deal of time creating line ups based on the kids that are there. If you do not RSVP, then your child will not be included in the line up. If they show up to a game without an RSVP, play time will be reduced as the coaches will not completely alter the line up to accommodate you. All team members are emailed an RSVP notice 3 days before the game. Please use this email to click "yes" or "no" and your attendance will be recorded. You can also log in to RSVP for all the games that you know your attendance for. Go to your team page, then schedule. Next to the game, you will see a thumbs up icon. Click on this and select the green thumbs up for yes or the red thumbs down for no. You can also see who is attending if you want to arrange a carpool! Volunteering: We really do need help from our parents to provide a great experience for our kids. We require all families to volunteer in some capacity and have many opportunities in each sport. To see the volunteer opportunities available, click on "volunteer" and then volunteer opportunities in the horizontal menu above. All sign ups are first come, first served, so sign up for your preferred choice ASAP. You will only be able to see the choices that are still available. To edit your family profile, log into the website (click on "sign in" in the upper right corner of the website). Click on "My Account" in the upper right corner and then click on the name of the person you wish to edit. You can receive text notifications of any changes to the schedule as well as reminders of games and practices by selecting the provider you use next to your cell phone number. Don't forget to click "submit" at the bottom so that your changes are saved. If you would like to see a quick tip about something not mentioned here. Please email Sara at athleticdirector@stgilesschool.org. 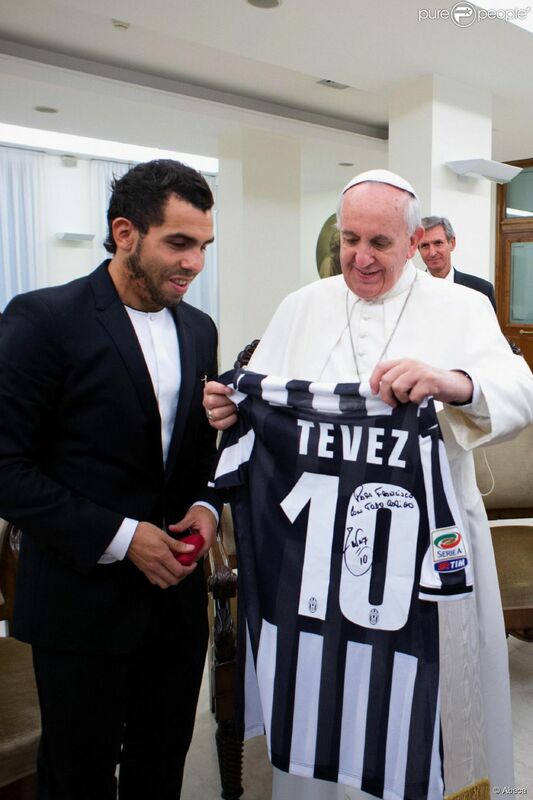 Pope Francis is a great sports fan. He appreciates the value of sports. He even called sports a “most noble vocation.” Why would he say that? We join Pope Francis in praying for all that all those involved in sports. In what ways am I challenged to keep sports in their proper perspective? 1 Corinthians 9: 24-26 Run so as to win.